I used my Silhouette cutting machine to cut out all of the decals. But, you can cut them out by hand. I will have a download at the end of the post with all of the decals used. So, you can download and use all of the decals that I used to make these projects! 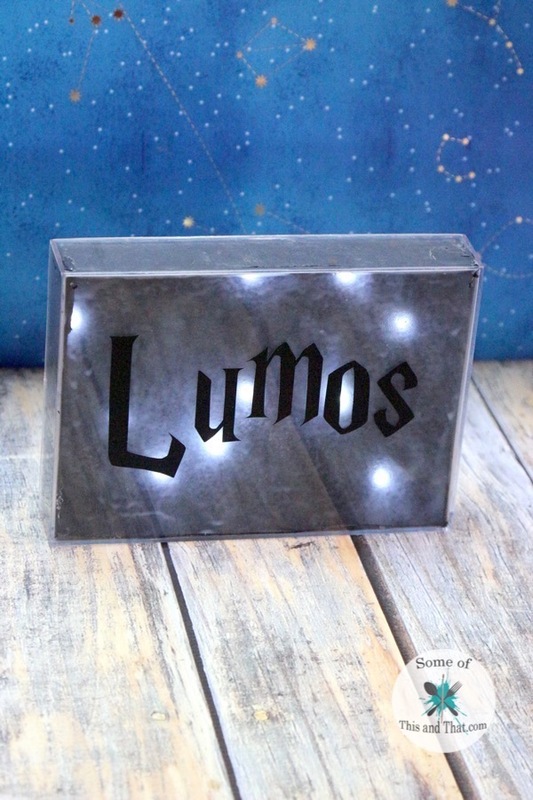 The first project I did was this DIY Lumos Light that actually lights up! 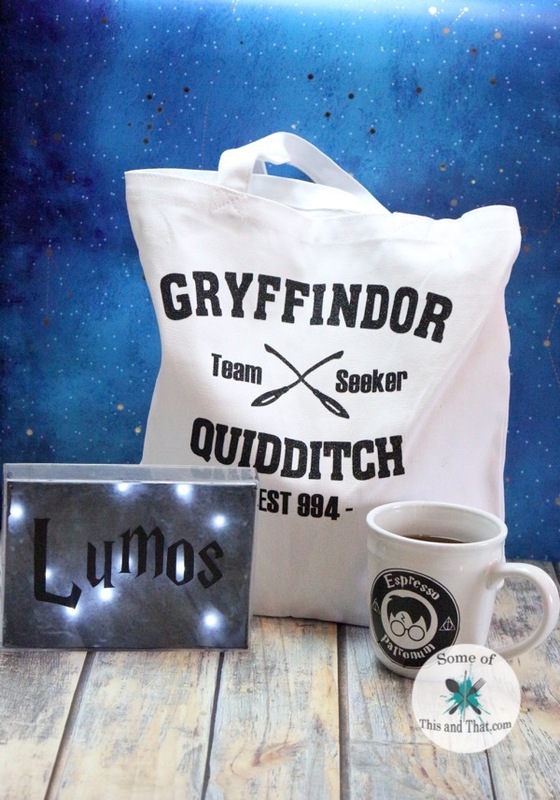 For this project I used a box frame, some frosting paint and a Lumos decal that I cut from Vinyl. I also made a two sided coffee cup! 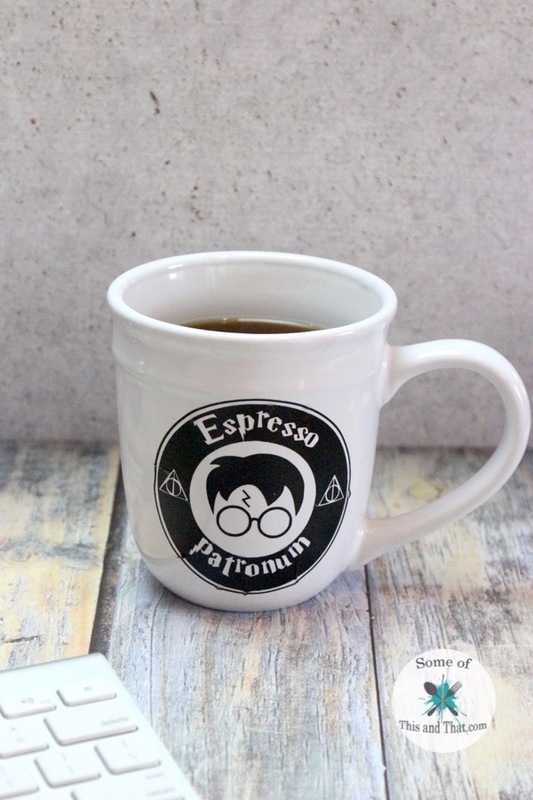 One side has a Starbucks inspired decal that says Espresso Patronum and the other reads 9 3/4. I think it will be my new favorite coffee cup of all time! I used outdoor rated vinyl, so it can be hand washed without any issues. Finally, my favorite project of all! 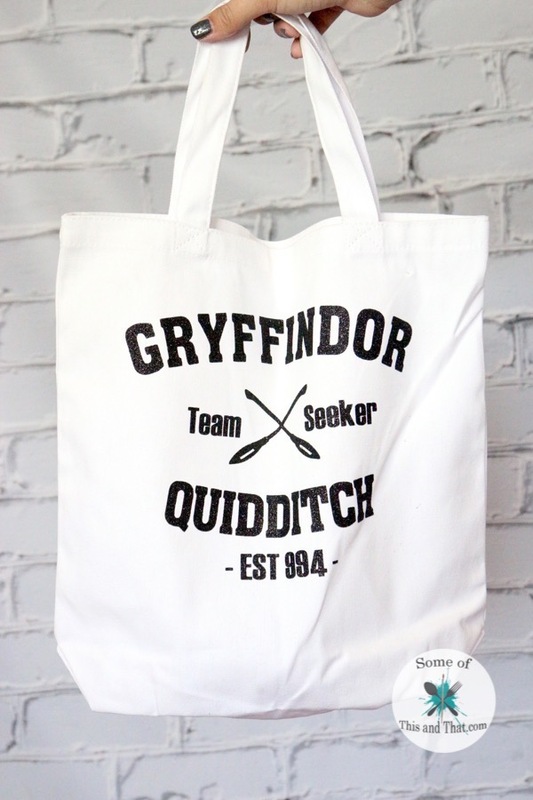 This DIY Quidditch bag! 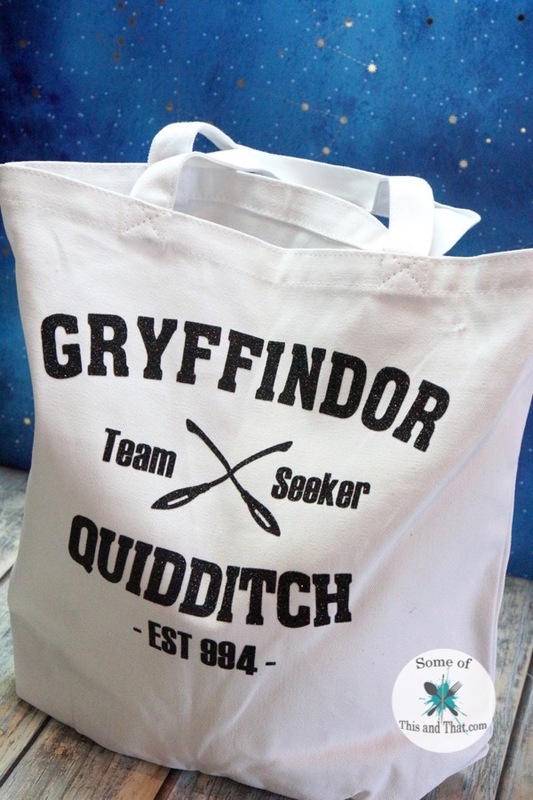 Of all of the Harry Potter crafts I have done, this is my favorite! I am House Gryffindor, but I included cut files for every house. I won’t judge if you are House Ravenclaw! 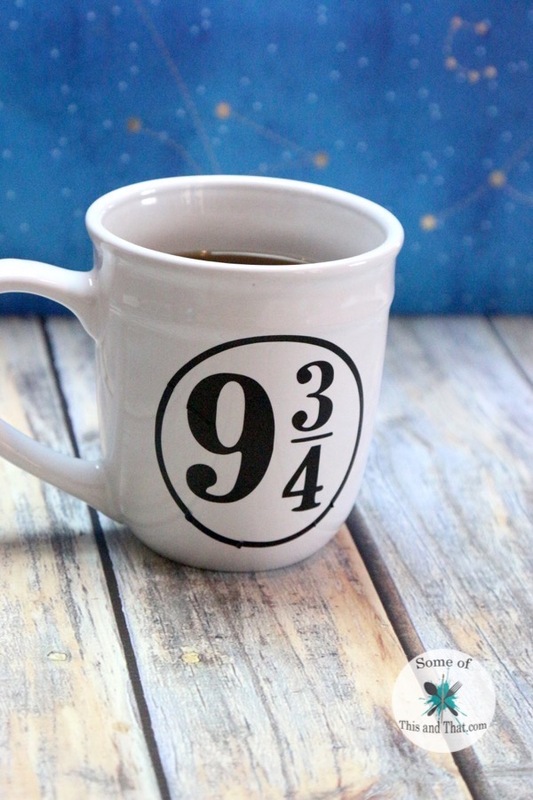 Check out the video below to see how I made these fun DIY Harry Potter Crafts! Also be sure to head over to the YouTube channel to see how to enter to win a free heat transfer decal! What house do you belong to? Let me know in the comments below! Previous Post: « Free Harry Potter Planner Stickers! Love the crafts! The most I have done is the DIY coffee mug.